Mine Fiels in the Great Belt etc. You are here: 4Campaigns & Battles4Index4The 1st World War4Mine Fields in the Great Belt and Little Belt etc. Mine Fields in the Great Belt and Little Belt etc. 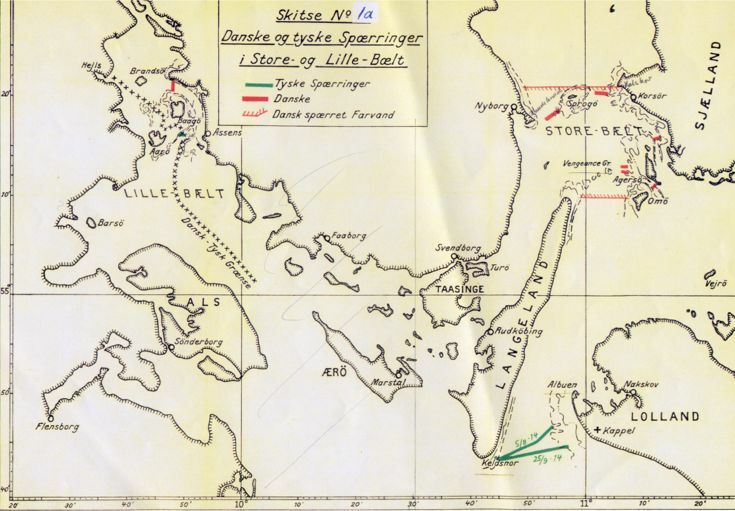 German Mine Fields are marked with a green color and Danish tih a red color.